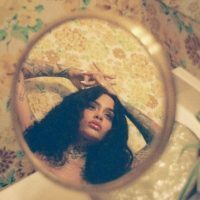 After being to herself majority of 2018, Kehlani confirmed on Instagram last night that this month she will be dropping her bundle of joy, which is not the baby just yet. Her upcoming mixtape, which is titled “While We Wait,” is just a tease for us until her new album comes out later this year. It’s been 2 years since the artist released SweetSexySavage and fans are itching to have new music. Last month, she dropped a new single “Nights Like This” with Ty Dolla $ign to hold over fans until her mixtape drops.